I am a qualified Mountain Leader, Rock Climbing Instructor, Outdoor First Aid Instructor and passionate hill walker. I have a teaching qualification and an enhanced DBS (CRB). I have always had a love of the outdoors, was a keen Scout in my youth, and also participated in the Duke of Edinburgh scheme. 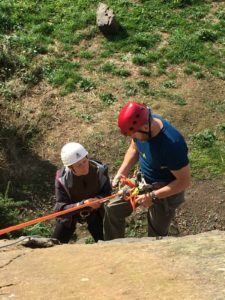 I have rock climbed extensively in UK (trad, sport & bouldering) as well as a few trips to other parts of Europe. I participate in Mountain Marathons, mountain bike, and have dabbled in triathlon up to Half Ironman. I also hold a karate black belt, so watch out! I’m hoping, with Mountain Rangers, I can give the children the enthusiasm to explore the great outdoors. With time the children will acquire the skills and knowledge to be able to take to the UK’s wild places with confidence, and have experiences that will stay with them all their lives. My passion for the great outdoors began when I was younger, where I use to spend most of my spare time venturing out into the woods exploring and enjoying my freedom with my mates on my BMX. As one of my friend’s fathers was involved in Scouts I ended up helping and supporting my local Scout group in Stony Stratford. This then followed on with my group of friends completing the Bronze and Silver award Duke of Edinburgh scheme through my School. Which will all really enjoyed and is one of my key memories I have when looking back. Most weekends I would spend my free time with my friends at the local campsite where we would offer our services as site maintenance crew in exchange for our pitch fees. After losing all my spare time and in trying to get my kids actively involved in outdoor activities, by unplugging them from the world of technology, I have become involved in Beavers, Cubs, and Scouts. I volunteer as a Beaver scout leader where I help young children to gain more confidence and overcome fears through different activities. My aim with this group is to try to give the young people of today the same opportunities as I had when I was young. Which I believe is what played a big part in shaping the person I have become today. So hopefully with support and guidance, I can provide your young person they will be able to venture out into the world and have as great an adventures as I did. As I believe every young person out there has the ability to do great things and hopefully, Mountain Rangers will be the stepping stones to their next adventure. I am a qualified Level 3 Forest School Leader. I run weekly sessions throughout the year, whatever the weather. The children learn to use tools, light fires, build shelters and develop their knowledge of flora and fauna. I hope to instill a respect for the environment and a love of nature. I also work as a Teaching Assistant, with a particular interest in Special Educational Needs (SEN) and Speech and Language. I have been working with children and young people for the past 20 years in many different settings. I hold a certificate in Activity First Aid. I have an Enhanced DBS check and Safe Guarding training for children certificate. I am a keen hill walker and enjoy the challenge of endurance walking of up to 40 miles (65k) in a day. 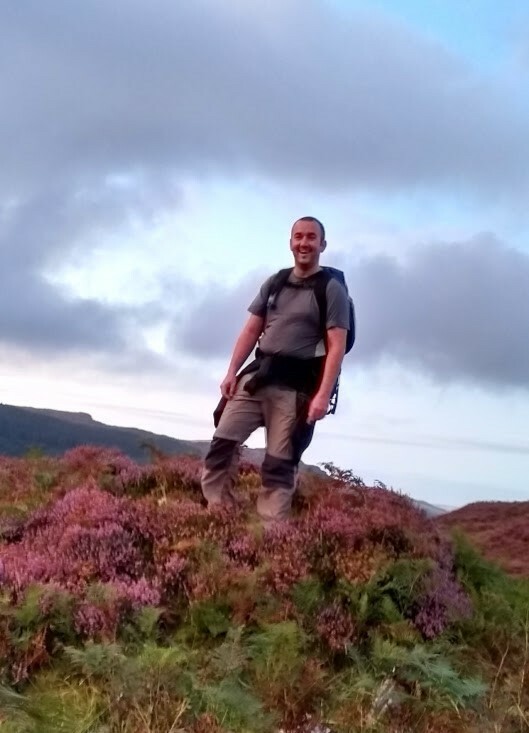 I regularly walk in the woods and countryside locally but I particularly love mountain walking and have enjoyed many adventures trekking in the Peak District, Scotland and Wales. 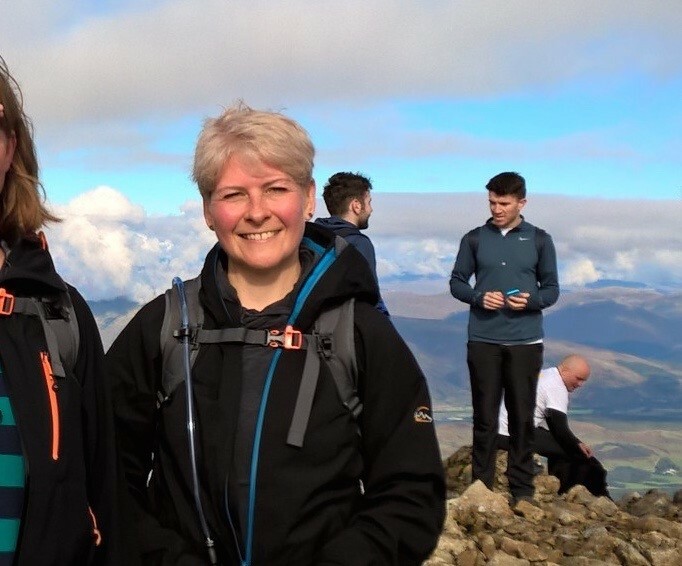 Through Mountain Rangers I hope to inspire children and young people to develop their skills and enthusiasm to take on their own walking challenges in the mountains.